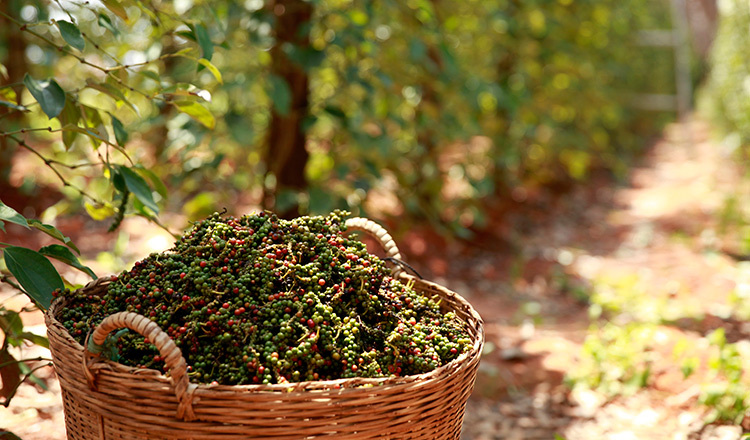 The quality of education in Cambodia has continuously evolved through the years. Both public and private institutions offer high-standard education, pushing the youth to learn better and faster. Classes in English and Information Technology, considered as foundation for regional and global competence, have also been getting more focus from schools and students. 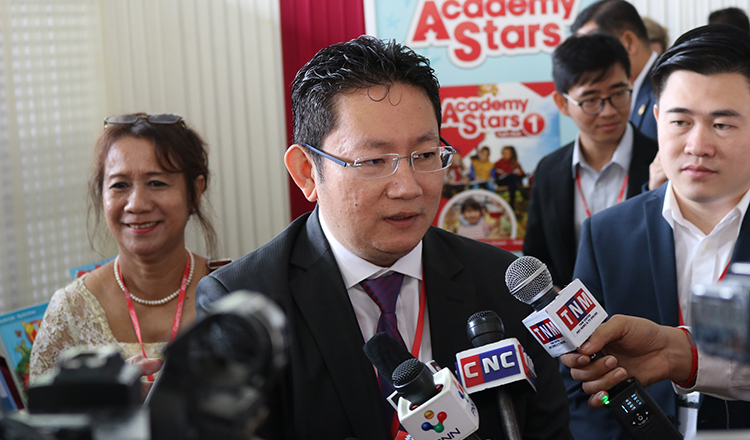 At the 14th Annual CamTESOL Conference in Phnom Penh last week, Education Minister Hang Chuon Naron emphasised the importance of learning the universal language to easily communicate with people. “Using English is a great way to transmit knowledge. It is not just about making friends with foreign nationals. But English is the youth’s ticket to the future. They need the skills in English and computer to be more competitive and to contribute more to the community,” said Mr Chon Naron. Mr Chon Naron praised Cambodia’s improving English and IT skills as teachers, trainers and researchers in the field of English Language Teaching (ELT) and linguistics and administrators of English language schools and universities from over 30 countries gathered for the annual conference. 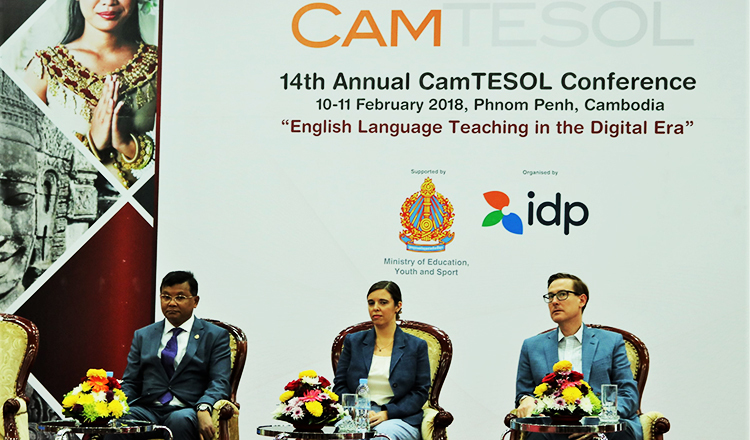 This year’s CamTESOL conference, hosted by IDP Education Cambodia, was aimed at sharing English learning and teaching skills by experts to more than 1,700 international delegates. IDP IELTS Australia sponsors the annual conference. Delegates listened to several prominent names in the field of English teaching and research such as Dr Beverly Derewianka, Professor John Macalister, Ms Fredricka Stoller and Mr William Grabe as they presented their studies in effective language teaching and curriculum-related projects in countries using English as second language. The speakers also highlighted the huge impact of technology to learning. In this digital era, the speakers believe learning and teaching the universal language have become more successful. 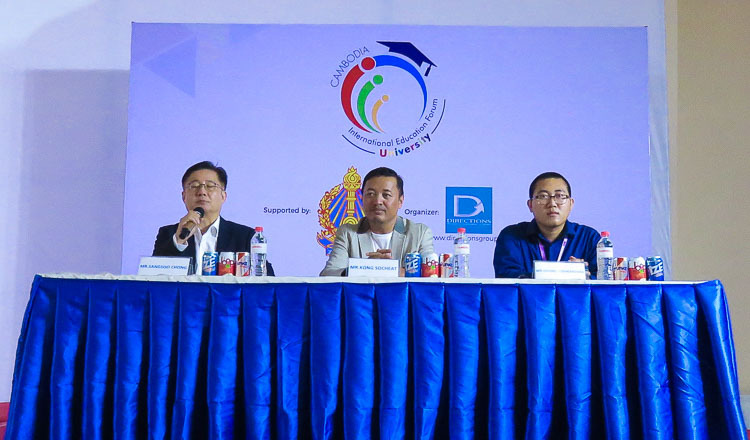 “All guests such as English teachers and experts, rectors of universities and authors are here to share their experiences of how to teach and learn English more effectively,” said Mr Mao Sreng, country director of IDP Education. According to Australian Center for Education (ACE), which has five branches across the Kingdom, the usage of the English language among students and teachers has drastically increased. “Cambodian learners are using English very well. We are even better speakers than our neighbors. Both teachers and students are working hard to learn about the language. But aside from the classes and trainings in school, students may also continue to practice their speaking skills through reading, listening to the radio or talking with other English learners,” said Mr Sreng. “It doesn’t matter where you’re studying or how much you pay in school. What’s important is you help yourself to learn English and other skills you need to have a bright future,” he added.